The Restoration Of Light is a painting by Carter Neal which was uploaded on October 5th, 2010. 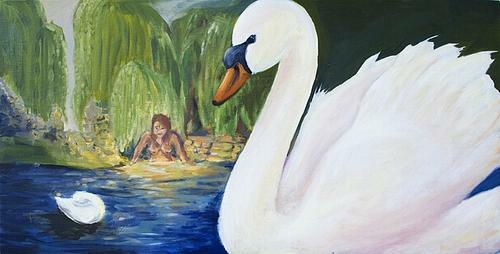 The lady in the lake is infuseing the light of life into the water through her hands while the swans welcome her home. There are no comments for The Restoration Of Light. Click here to post the first comment.